A jack-of-all trades pack thats fully featured enough for those wanting an accessible model they can travel with but is light and durable enough for the trail. The Thule Versant 70 fills a niche: it can transition from multi-day backcountry trips to travel-oriented adventures. It's an excellent option if you want a multi-purpose, it's supportive, durable and weatherproof pack. These attributes, along with this pack's comfortable frame and large upside-down "U" shaped zippered access point make it a great travel option second only to, The North Face Banchee 65, our Top Pick for Travel. This packs comfort score pleasantly surprised us. While the straps are narrow, they are well-padded and contour to most shoulders quite nicely. Accessing the main compartment is easy with the large U-shaped zippers. Thule has freshened up their palette since we tested it. It remains virtually identical to the one we tested. You can see one of the new color options shown in the photo above. The Versant 70 is a reliable and versatile model that is on the lighter side of fully featured backpacking packs. The Versant does this without having to cut any corners when it comes to its suspension, durability, or its inclusion of a host of well-designed features. Features like its U-shaped zippered access panel give the Versant a duffel-like feel with the comfort of a true backpacking pack. It also comes with a removable rain cover and wholly submersible and removable waterproof waist belt pocket. These are the reasons this model is great for travel and a very strong contender for our Top Pick for travel award only barely missing out to the more compartment heavy The North Face Banchee 65 (And we mean BARELY missing out). While the Versant didn't win our award it remains an awesome pack for this purpose yet remains solid even if you want to exclusively use it on the trail for multi-day backpacking trips. The Versant 70L is a jack-of-all-trades pack that is sports top-notch access, allowing it to act like a suitcase, and solid durability. These are the reasons it was our choice for our favorite for travel. That said, it's also a solid backpacking pack even for exclusive on-trail use as it carries loads quite well and is packed full of features but still remains slightly lighter than average. Our testing squad found that the Versant 70 provided above average overall comfort on extended multi-day trips while backpacking or mountaineering in the summer. Its waist belt, while marginally on the stiffer side, is supportive and its shape helped it to wrap nicely around bony hips without much discomfort. This model's shoulder straps are on the narrower and thinner profile side, but our testers found they were more comfortable than expected and very nicely articulated. In fact, a handful of our smaller testers noted that they preferred them when compared to some models with wider, softer, and less articulated models like the Deuter ARC Lite. Overall, this model performed well, though it was bested by its competitors. This was primarily because its shoulder straps weren't quite as comfortable as others when it came to carrying heavier loads (45+ pounds) all day. The Thule Versant's shoulder straps are narrower and slimmer than most. While not our favorite, they are only marginally less comfortable than other more comfort-focused models, even after hours of carrying heavier loads. This is likely due to their excellent ergonomics, breathability and comfortable materials. A small but noticeable feature was that the Versant's sternum strap has an extensive vertical adjustment range, allowing the wearer to move it into the most comfortable position, even if a given user is at the smaller range of the pack's frame size. This is a feature most models in this review are incapable of. This model has an incredibly stout suspension considering its weight. While not quite as robust as other load hauling models like the Osprey Xenith 105, Arc'teryx Bora AR 63, or the Gregory Baltoro 65 it isn't far off. After several days of carrying heavy loads in this pack, we felt its suspension helped support loads up to around 45-50 pounds well but performed just so-so above that. The only reason we'd choose an above model over the Versant is if we knew we were going to be carrying massive loads often; while the Versant's suspension system supported our back wonderfully, the shoulder straps could have offered more comfort. At 4 lbs 3 ounces, the Versant 70 is pretty average in weight but is still one of the lighter fully featured packs in our review. While it's not as light as competitors like The North Face Banchee 65 or the Osprey Volt 60, it certainly has a more robust suspension than either of those models. It has also been outfitted with several more pockets, provides a higher level of durability, and offers better access. From a purely features and suspension perspective, the Versant compares much more closely to models like the Gregory Baltoro (5 lbs 3 oz), Osprey Aether AG 60 (5 lbs 2 oz), or Arc'teryx Bora AR 63 (5 lbs). However, it's 12+ ounces lighter and is a 70-liter pack. The lid of the Versant is shown here. Its design made it easy to find items, but when this model was packed super full, we'd have to be a little careful to make sure no small items accidentally fell out. This wasn't a big problem but something you should certainly be aware of. The lid of the Versant 70 is one of the more straightforward designs to use and look for items in. Instead of a zippered opening on the side of the lid like many models, the Versant's zipper wraps around on three sides in a flat "U" shape, allowing its user to see essentially everything inside, making it much simpler to find smaller items. The sides of the lid did an excellent job of containing items; however, if the lid was super packed, objects would occasionally fall out. Generally, this wasn't a big problem, especially if we didn't pack to the brim. There is also a second, smaller zippered pocket on the top section of the lid for our most essential items that we want to keep safe. While this model barely lost out on a Top Pick Award to The North Face Banchee 65 we like this models lid significantly better. One of the nicer features of this pack and a major reason it won our Top Pick is its huge upside-down "U" shaped zippered panel opening. This feature basically gives you complete access to anything in your pack and turns it into a suitcase. The Versant's water bottle pockets point forward and make it easy to grab a bottle on-the-fly while hiking down the trail - all without having to take off our pack. Putting the bottle back in wasn't difficult, just something that takes practice and getting used to. It comparable to several of the Osprey models or the Gregory Baltoro. Another one of this model's nice but sweet features is a removable and completely submersible waterproof pocket, featured on one side of the waistbelt. It is big enough for a small point-and-shoot camera or a smaller than average smartphone. It wont fit many mid-sized smartphones if they have a beefy case on them. The Versant features two zippered waist belt pockets. One is pretty typical of most other backpacking packs and is suitable for snacks or bars. The additional pocket is unique; it is a removable and wholly submersible and waterproof pocket that closes with a roll-top design. While this pocket took a little more effort to get into than a traditional pocket, all of our testers preferred it, as it was a safe, dry place to keep a small to mid-sized smartphone or point-and-shoot camera. The Versant comes with a built-in rain cover that covers the entire pack. Many "built-in" rain-covers aren't well-designed but that simply isn't the case with this one. The rain cover stays on, even in very windy conditions (something that most aftermarket rain covers can't say) and kept our pack dry after several damp days of testing. This feature can also be left behind to save weight if you're heading out with a perfect weather forecast. The Versant also comes with a built-in rain cover - and a pretty nice one to boot (it is full-sized and covers the entire pack). It is waterproof and effective at keeping our pack dry on several occasions. It is also held tightly in place by toggle pass through loop attachment points. Overall, it stayed on our pack in higher winds better than a majority of aftermarket models. The rain cover is also removable for trips with more pleasant forecasts. While becoming the standard among backpacking packs, this model's reverse pull buckles are exceptional and make tightening the waist belt a "cinch". Here we show the bomber and easy to attach pass through loop toggle design featured on the Versant, which holds the rain cover in place. We liked many of the features on this pack; a few exceptions were its top lid which can be converted into a shoulder sling pack. While a decent idea, we found it was a little over-engineered, and we rarely noticed ourselves using it. Maybe you might see yourself getting some use out of it. The same could be said about this models ice axe loops/trekking pole holders. They are too far apart to be used for most ice axes that are 60cm and shorter and are overly complicated for the rare times we wanted to carry our trekking poles on our packs. In real-world use, we naturally found it more convenient to simply run both poles underneath the side compression straps instead of attaching one individually, via a more time consuming and complex system. Besides the larger primary lid pocket, the Versant features a second much thinner zippered pocket at the very top of the pack. While small, we loved having a second easy-to-access small zippered pocket and all of our testers constantly used it for a variety of things. The Versant offers around four inches of vertical adjustment range in its back panel and roughly two inches of adjustment on each side (four inches total) in its waist belt girth. This is marginally more than most of the pack's feature. Its narrow shoulder straps were a plus for narrower shouldered folks or ladies that have a longer torso and are considering this "men's" model. This model features roughly four inches of vertical adjustment range and roughly two inches of adjustment on each side of its waist belt girth, giving this model a reasonable amount of fine-tuning to better fit its wearer. The Versant is a solid general purpose backpacking pack, and most users will find this pack perfect for 2-7 nights. Because of this model's above average access, highly water-resistant construction, and its number of pockets, this is an incredible model for travel, especially if you plan on backpacking through Europe, Southeast Asia, etc. With a retail price of $280, this pack brings proper value to the table. 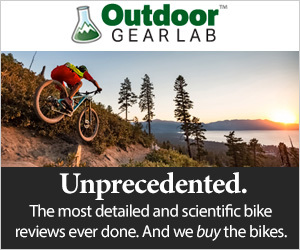 It offers a similar level of suspension and features that many expensive models offer like the Gregory Baltoro ($300), Osprey Xenith 75 ($330), or Arc'teryx Bora AR 63 ($550) and is lighter than all of them. It is comparable to the Osprey Aether AG 60 ($290 for the 60L and $310 for the 70L and is still lighter than either of those models) and sports a similar feature set. However the Versant is marginally more expensive than the Osprey Atmos 65 AG ($260) or the The North Face Banchee 65 ($240) and heavier than both. The Thule Versant is a very versatile pack that is durable and packed full of features but still keeps a pretty resonable weight. We love its huge zippered access panel that made finding deeply buried items a cinch. While its shoulder straps were a little thinner and lower profile than most, this pack's suspension more than made up for it; as long as our loads weren't too heavy, our entire review team loved the feel of the extremely ergonomic shoulder straps. We found it was ideal for travel applications where we would use this pack more or less as a duffel bag - and a comfortable one to carry, to boot! Amazon $239.95 - 14% off!